Ferrari is expecting an improved showing at this weekend's Bahrain Grand Prix after adressing the issues that hampered its performance in Australia. Ferrari is expecting an improved showing at the Bahrain Grand Prix after making a number of “corrections” following its uncompetitive start to the 2019 Formula 1 season. 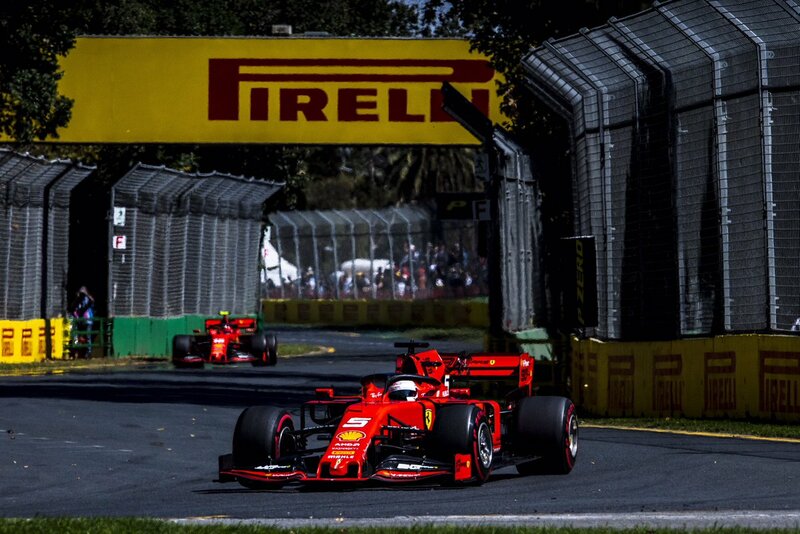 After a strong showing during pre-season testing, Ferrari had been given the early favourites tag by Mercedes and Red Bull, though the Italian team struggled to match the performance of its rivals at the season-opener in Melbourne. Sebastian Vettel ended up nearly seven tenths adrift of Lewis Hamilton’s pole time in qualifying and was passed by the Honda-powered Red Bull of Max Verstappen on his way to finishing a distant fourth ahead of teammate Charles Leclerc, with both drivers a minute down on race-winner Valtteri Bottas. Ferrari insisted its low-key display in Australia did not reflect the “real potential” of its SF90 F1 car and team principal Mattia Binotto hopes to see a better representation this weekend in Bahrain. “The Bahrain Grand Prix is the second round of what will be a very long and demanding season,” Binotto said. “The Sakhir circuit has very different characteristics to the Australian one, with traction and braking being key factors. “As a team, we will have to ensure that we have understood and rectified the areas where we were weak in Australia, which therefore meant we were unable to fully exploit our car’s potential. “In Bahrain, we expect to see the effect of the corrections we have made, although we are well aware that our competitors will once again be very strong. Speaking during the Australian Grand Prix, Vettel suggested the issues facing Ferrari were related to set-up rather than a fundamental problem with its 2019 challenger, and insisted the team was in better shape compared to the start of the previous season. “Last year we left winter testing with problems on the car - it wasn’t behaving the way we wanted it, the way it should,” Vettel explained. “This year was the opposite, the car was behaving the way we expected and it felt very good. We had a very poor rear end last year and felt we had to trim the car towards understeer a lot. That didn’t feel great. “We managed for [Australia] last year, and the race pace was fine, but we weren’t there in qualifying. We got lucky in the race, but I think by Bahrain we had fixed all our issues from winter testing last year in the first race, and that’s why I think we all of a sudden unlocked a lot more pace for last year.